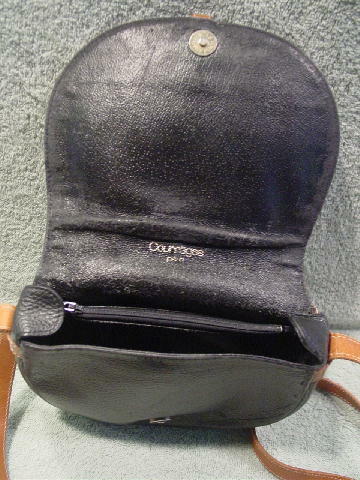 This vintage leather purse is by Courreges Paris. 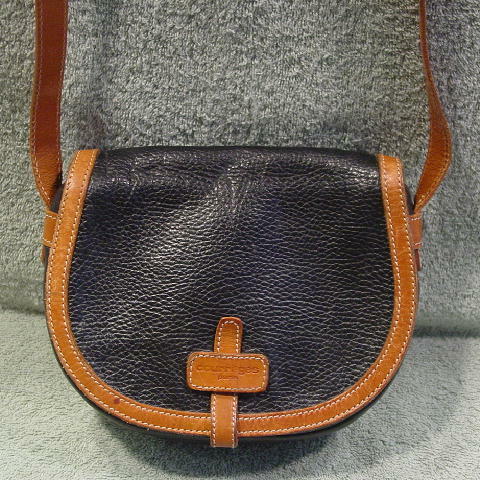 The base color is black with the shoulder strap and trim in a tan color with offwhite accent stitching. The adjustable strap has three holes and a gold-tone buckle and loop. The loop has Courreges etched on its front. 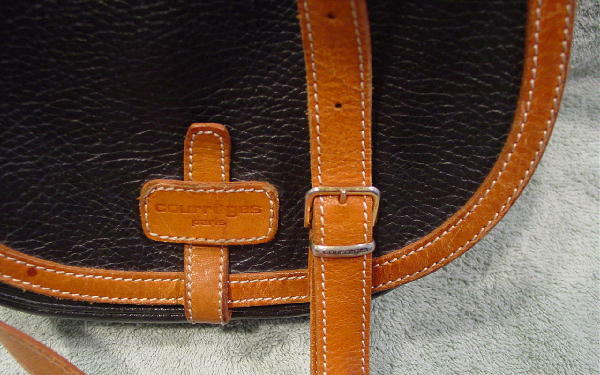 The tan leather decorative front tab has Courreges Paris etched on it. 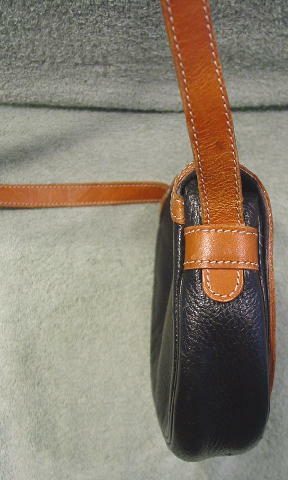 Below the front flap is an interior magnetic snap closure. 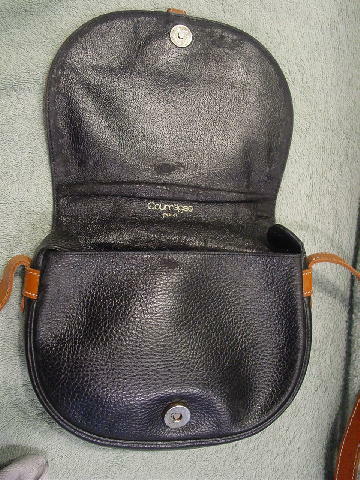 The interior is in black leather with a center zippered section. 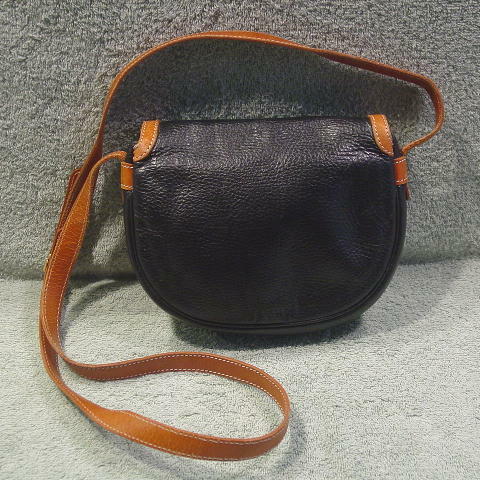 The interior of the front flap has some of the black leather and coloring worn off, and the front inner side also has a worn off area which you don't see when the purse is closed. The interior flap also has Courreges Paris in gold-tone letters. The front tan trim has a dark spot on it. She sold her purse collection when she moved into a smaller apartment.